After dinner at around 11 at one of those Murthal Dhabas I fell asleep, and was woken up by the noise of raindrops hitting the window of the bus hard. It was 5 AM and I was about 20 Kilometers away from shimla. It was pouring, I could see streams of water flowing across the roads and then along the slope. At 5:30AM The bus was at Victory Tunnel, the drop point for HPTDC buses. I got down last, hurriedly put up all the luggage, and covered it them with raincovers and covered myself with a windcheater. It was the closest thing to waterproof on top of the bag, the old man insisted that I take a room in shimla as it was pouring and leave thr next day. 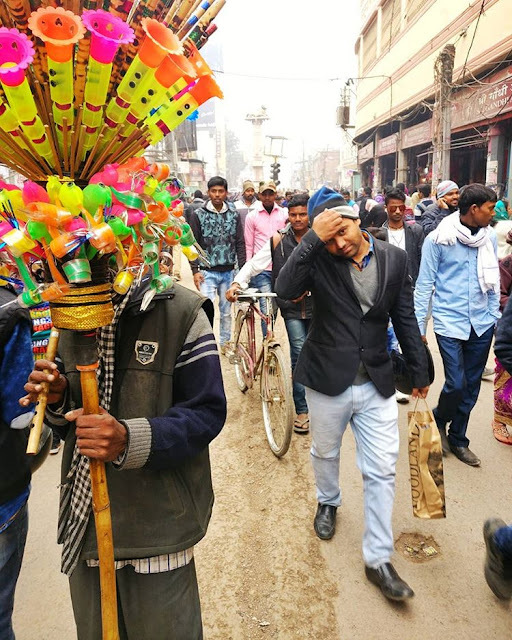 I thought it was too early to do that, and moved towards lakkar bazar bus stand, hoping to take a bus to Narkanda. I locked the cycle to a railong and moved to a dhaba which gave me a direct view of the bike. I had 3 chais and a couple of Paranthas over the next two hours. The owner of the dhaba insisted that I take a bus to Narkanda as the weather was inclement. I felt it was too early to do that, after all if I had to take a bus, I could take a night bus too. As soon as the pouring reduced to drops, I started for Kufri, hoping to find an accommodation there if the weather stayed bad. It took me 2 hours and 15 kms of steep climbing to reach Kufri. 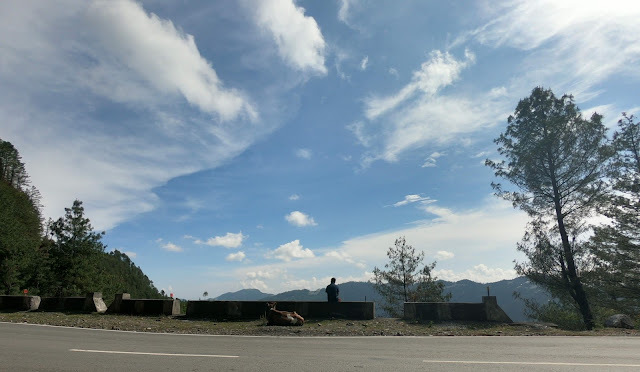 By the time I reached Kufri, the sun was out and there was mild wind blowing I dressed down to a tshirt and shorts, and decided to peddle till theog, 16 kilometers under 20 minutes were motivating. 10 more chais, 4 paranthas, a thali, and lots of love and questions later I reached Narkanda around 5:30. I didn't like the feel of the place and figured that there was another village about 20 kms downhill with much better accommodation. 40 minutes of pure joy of a downhill later, I am in Kumarsain, with dinner done at a family run restaurant and sleep pending at a PWD rest house. I rode 20 Kilometers more than what was the target today, and this apparently is my longest ride in 3 years now. My back hurts though. There are so many things I have to skip here as some of them make there own stories. How did you took this picture? Did you had any help? Cycling to Spiti! Day 0, Noida.